To start off this Monday Morning News Round Up I would just like to say thank you to everyone who has visited over the past week. I was just getting my feet wet seven days ago, but now things are really rolling. We’ve had 1000 views so far and two more contributors will be making regular, or semi regular appearances. Please welcome Gary Morris and Martin Ruddock to the Troughton team. 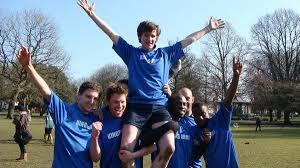 June 8th you can see Matt Smith kicking some grass in Soccer Aid 2014. He is joining Robbie Williams England team and taking on the Rest Of The World. In The Lodger we got to see just how good the Doctor can play, so Matt has a lot to live up to. A new monster was seen on set this week, since there are spoilers involved I won’t post the pic, but you can check it out here. 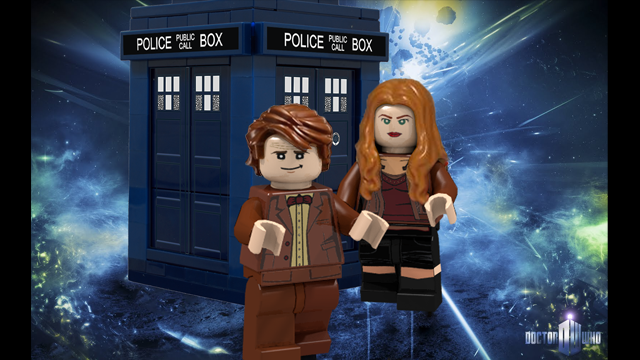 Have you fantasized of building your own tardis out of Lego? Well that fantasy could be a reality. Lego CUUSOO was taking fan submissions for official consideration and GlenBricker had one that met the required number of votes. It moves on to the second stage. Stay tuned via the official page. Well, it’s been two weeks since DWW went down. We were told that it was just changing servers, but that doesn’t seem to be the case. In its absence this site has attempted to keep the DWW faithful up to date on the latest news, opinion and rumours. Panopticon member Pascal Salzmann has started a facebook group to continue discussion as well. Unless you’ve been living under a rock on Mars, you’ve heard the latest omnirumour news. But if you are a Martian insect, or maybe were just offline at the wrong time, here’s a full rundown on the latest.